We’ve been helping our customers experience unforgettable holidays for 30 years. 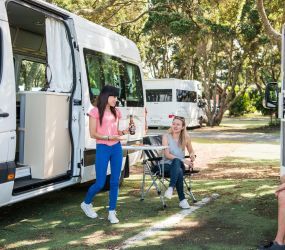 We’ve got a wide range of premium self-contained motorhomes for you to experience your next journey. We’ll match any maui motorhomes price. 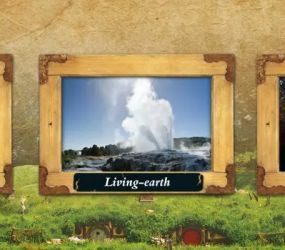 Found a comparable alternative? We’ll see if we can match that too! Travel easy with our passionate local crew, handy in-camper tablet, and our dedicated on-road care team. 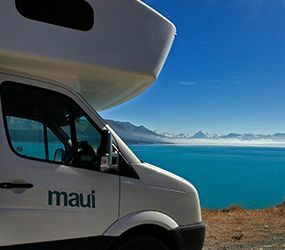 Maui is an experienced and trusted campervan hire brand in New Zealand and we have delivered great self-drive holidays for​ more than 25 years. 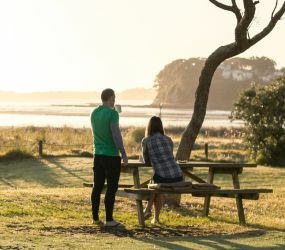 We are focused on our continual quest for design enhancement and innovation to ensure our travellers, just like you, experience the very best in campervan holidays with our stylish interiors and spacious design right down to our warm personalised service. 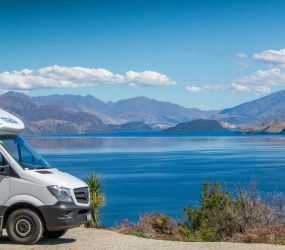 If your idea of a real holiday is to have all the comforts of home at your fingertips, whilst having the flexibility to travel wherever the road may take you, then we think a maui campervan hire is the perfect self-drive option for your New Zealand journey. 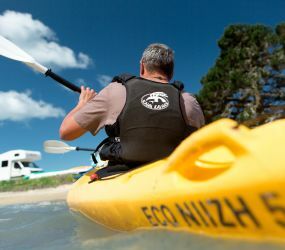 With the freedom and flexibility to explore New Zealand at your own pace, you can stay in one place for as long as you like. Because you decide the pace, the only schedule you have to work to is your own. 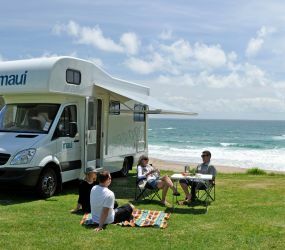 Choose from the range of maui campervans that sleeps up to two, four and six people – perfect whether you are travelling as a couple, family or group of friends. 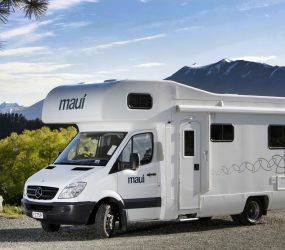 If you are looking for ultimate space, style & comfort, then we recommend maui campervans to you. Designed with warm neutral tones, reading spotlights and roomy living areas, we believe they have a feel more akin to an apartment than a traditional motorhome. Sleeping between two and six people comfortably, the ultima, beach and river campervans each feature a unique layout design, so you can choose the layout and space that works best for you. Built on quality European Mercedes or VW chassis, guaranteed less th an 2.5 years old, the campervans drive as superbly as they look. Plus they’re automatic transmission, so a pleasure and breeze to drive. 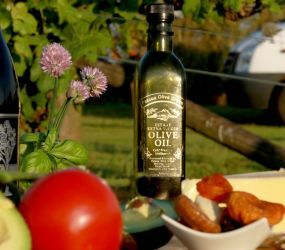 We try to think of everything that will make your holiday easy and convenient. 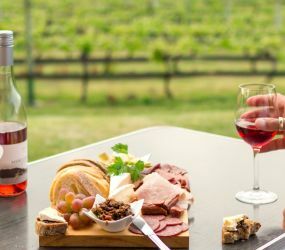 So you’ll find all our motorhomes are stocked with apartment-style kitchen equipment (including holiday essentials such as wine glasses, crockery and coffee plunger), freshly laundered bedding and a range of other useful items so you can travel the country in our campervans without sacrificing the comforts of home. 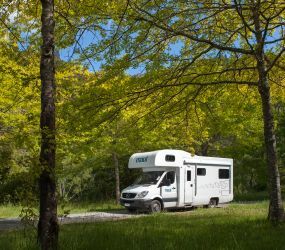 When you travel with us, you can also be sure that our service compliments our superb motorhomes. We know it’s the small things that count, from a personal recommendation of the best cafe in town to the convenience of being able to replenish your linen at any of our branches during the course of your holiday. Peace of mind makes a holiday even more relaxing so we also offer 24/7 Customer Care should you need us. We are just a phone call away. 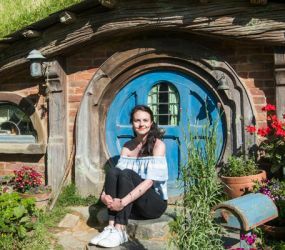 You may already know that maui is part of Tourism Holdings Limited (thl), a business firmly established as New Zealand’s premier tourism company with operations also in Australia. maui, has a new vehicle sales brand: Motek. 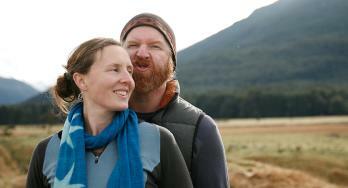 If you are a Kiwi you may have known them previously as Ci Munro and maui Vehicle Sales. Motek manufacturing excellence means you can rest assured that your camper has been designed and built by an experienced company within the thl house of brands. 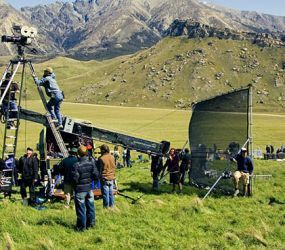 maui is also endorsed by the quality assurance programme Qualmark, backing up our commitment to delivering a quality product and experience. We also take the environment seriously and are the first company in the country to have its camperans independently emissions tested. We are also a partner with LOVE NZ to encourage recycling at all of our branches. 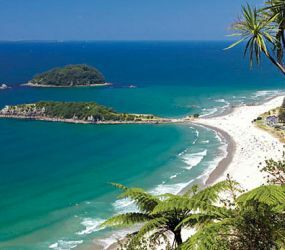 It would be our pleasure to have you travel with us for your campervan hire New Zealand. Please contact our team, anytime, 24/7. 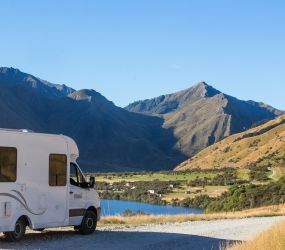 If you are a holder of a valid and current overseas car licence (equivalent to a New Zealand Class 1), you can drive any of our campervans which are all under the maximum gross laden weight limit allowed of 6,000 kg. You must comply with the following conditions: you have a current and valid overseas licence or driver permit, and you haven’t been given a disqualification or suspension in New Zealand, and you came into New Zealand less than 12 months ago, and your overseas licence is in English, or you have an accurate translation, and you haven’t been granted a New Zealand driver licence since you last entered New Zealand.